Running a business creates opportunity and risk. Today’s employers are faced with complex challenges. They are looking for advisers who truly understand their industry, operational and financial goals. They are looking for professionals who understand the risks inherent in running a successful business and who can manage these risks effectively. In today’s volatile economic and business climate, employers are looking to streamline efficiencies, maximize economies of scale and eliminate nonessential overhead. At Genesis Financial & Insurance Services, we understand this complex environment and have responded to the significant demands placed upon employers. Genesis Financial is the preeminent Single Point of Contact employer resource for risk management, employee benefits, integrated payroll and human resources; providing unsurpassed expertise and exemplary customer experience. 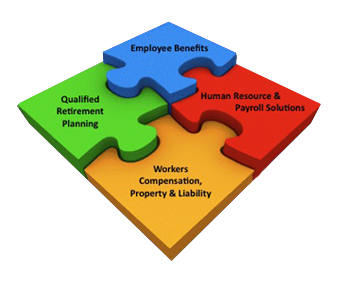 We assist employers comply with complex state and federal regulatory, employment, labor and ERISA law through our team of prominent industry leaders in the management of benefit welfare plans, insurance, financial services and related coverages. At Genesis Financial, we realize there is not a one-size-fits-all solution to meet the needs of all employers. Our consultative approach ensures proper assessment with recommendations that best meet the employer’s profile. Significant savings can then be realized through a variety of flexible approaches. At Genesis Financial, our strategy is quite simple; to provide employers with an unbiased comprehensive review of their insurance, HR and qualified retirement plans. What makes Genesis Financial unique is our team of analysts. Our group of professionals has over 25 years experience in their respective fields. They are industry leaders in their professional trade associations earning them the respect and admiration of their colleagues. They have achieved state and national recognition and awards for industry and community leadership. They are engaged in the legislative and regulatory process, which ensures our clients will be kept current; in many cases before laws are enacted. Personal relationships with insurance company executives, business and community leaders ensure our clients receive profound value. This is what sets Genesis Financial apart form other consulting firms, agents, brokers and payroll companies. At Genesis Financial we believe that an integrated approach to global case management, risk management and customer experience provides optimal quality assurance and coordination; saving valuable client staff time and achieving economies of scale resulting in overall savings. Genesis Financial clients enjoy working with their lead consultant who manages all aspects of their daily business needs. It is truly the silver bullet solution to ensure effective and proper oversight and accountability. MD Sam Smith, CFP began his insurance career in 1975 with Connecticut Mutual specializing in executive and employee benefits. In 1978, Sam was a candidate for the Washington State House of Representatives (5th District). For the next 22 years, Sam built the sales force and corporate accounts units for several large insurance companies, general agencies and reputable property and casualty firms. In 1996 Sam founded his own insurance agency, Genesis Financial & Insurance Services. Among his many accomplishments and recognitions, Sam is very active in public service and with the National Association of Health Underwriters. Sam served as president of the Los Angeles Association of Health Underwriters and the California Association of Health Underwriters. Sam served as Chairman of the Board of the Hollywood Chamber of Commerce, was named 2011 Small Business Advocate of the Year by the Los Angeles Chamber of Commerce and served on the board of directors of Young & Healthy (Pasadena). Sam is a resident of Valley Glen, California, dedicates much of his time to various charitable organizations, and is a Lay Chaplin at a local hospital. Sam enjoys foreign language and world politics. Bruce D. Benton, RHU began his insurance career in 1981 with Equitable Life specializing in life insurance, disability and financial products. Bruce later joined a large national employee benefits, life and annuity general agency. Over the next 16 years, Bruce achieved significant expertise in benefit welfare plans and life insurance planning. In 1998 Bruce joined his industry colleague and friend of 17 years as a partner of Genesis Financial & Insurance Services. Among his many accomplishments and recognitions, Bruce has been very active with the National Association of Health Underwriters. Bruce served as president of the Los Angeles Association of Health Underwriters, California Association of Health Underwriters VP of Public Affairs and president of the National Association of Health Underwriters. Bruce is a resident of Woodland Hills, California, and has served on school, little league and synagogue boards. A lifelong musician, Bruce achieved significant education in classical music; however, departed school to sign a recording contract with a major record label. Bruce still enjoys playing in a local band and municipal sports softball. 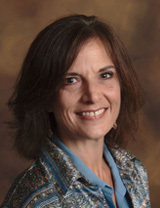 Dede Kennedy-Simington, CHRS, LPRT, began her insurance career in 1986 after graduating from University of Oregon. Her background includes work with private sector and government-run insurance programs, Director of Contract Management for a hospital, senior management with a health insurance carrier as well as a nationally-acclaimed employee benefits consulting firm. 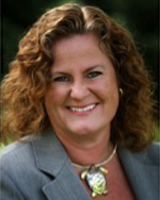 In 1994 Dede established an employee benefits practice that has found a home as part of Genesis Financial. 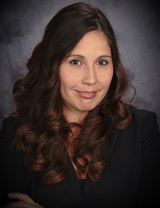 Additionally she serves as President of the Los Angeles Association of Health Underwriters (LAAHU), and is a frequent speaker who is often quoted in the media. 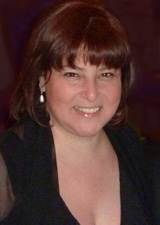 In 2010 LAAHU awarded Dede their prestigious Insurance Person of the Year award recognizing of her passion for advocacy on behalf of consumers and healthcare reform in Sacramento and Washington. Dede is a resident of Altadena, California with her husband and two school-age children. She enjoys travel, volunteering and providing humanitarian aid abroad, and loves Oregon Duck football. Moshé Evan has been a licensed insurance and real estate broker for over 30 years, owning various companies doing business in life and health insurance, property and casualty, real estate and business management, serving individual professionals & corporations. During 1971-1982 Mr. Evan was an Associate General Manager and a top producer with John Hancock Mutual Life. During that time he was responsible for recruiting, training and managing 20 full-time agents, and over 800 part-time independent brokers. 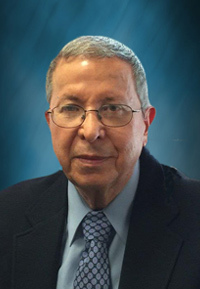 He also designed and directed the industry’s first computerized group insurance quoting system. During 1966-1970 Mr. Evan was a high clearance Scientist with McDonnell Douglas Aerospace Corp. researching anti-ballistic missiles design and effectiveness in a nuclear exchange. In 2001 he received his Property and Casualty Certified Professional Service Representative designation from the National Foundation for Certified Professional Representatives. In 1977 he received his Chartered Life Underwriter designation from the American College. In 1970 he completed his graduate studies in Business Administration at the Anderson Graduate School of Business at UCLA. Between 1961 and 1966 he did his undergraduate and graduate studies in Aerospace Engineering at Texas A&M. Greg Nelson began his insurance career in 2005 at an independent insurance agency and brokerage firm as a personal lines insurance agent specializing in standard and non-standard markets for auto, home, earthquake, umbrella and surplus lines. 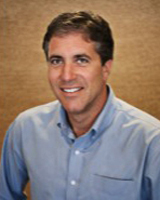 Greg’s expertise and consultative approach to educating consumers on the importance of adequate personal lines coverage earned him the recognition as a leading producer for Mercury Insurance Company. Greg joined Genesis Financial in 2011 as a senior account manager fulfilling his passion to expand his expertise as a health insurance and employee benefits professional. Greg is a resident of Winnetka, California, dedicates much of his time to his family and community. Greg is sports aficionado and a lifelong musician, still performing in a local band.